Hi all! I hope you had a fabulous weekend!! I just wanted to share this quick and simple card I made using My Creative Time Stamps. 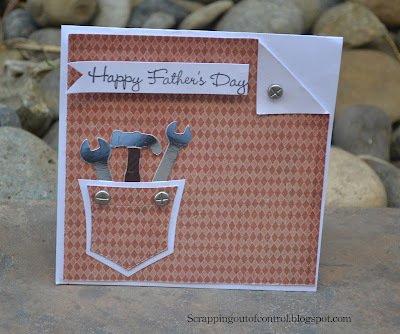 The sentiment is from the More Gift Card Sentiments Stamp Set. 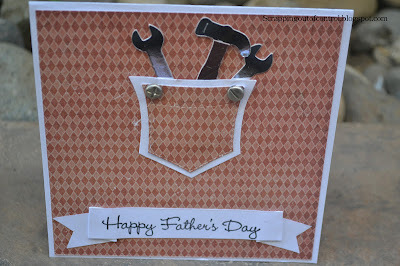 I made two of these cute little cards, one for my daddy and one for my hubby. I used the Londonerry Paper Collection by Prima. 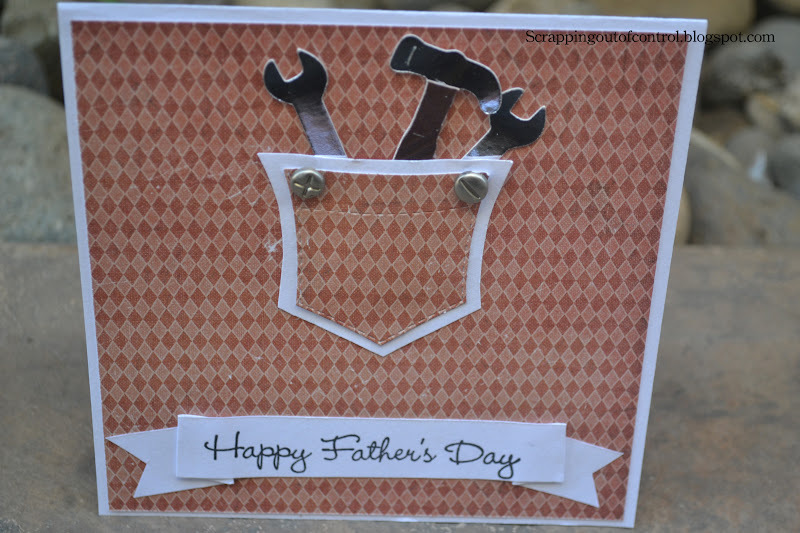 I used the Indie Cricut cartridge to cut out the little tools. 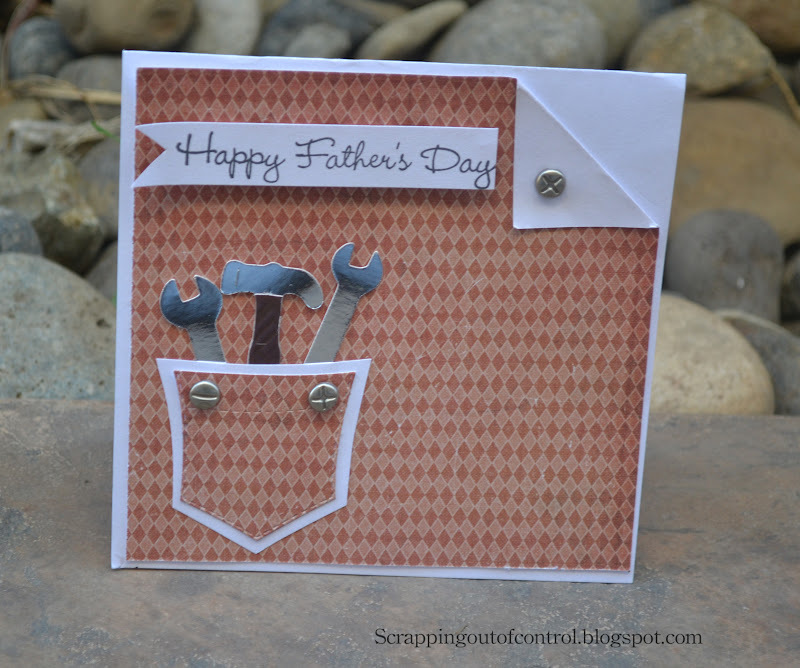 The pocket die is from MCT Fun Pocket Stamp Set. I bought the brads from an Expo and I am not sure which company makes them (sorry). Love how clean and simple they turned out! Happy Father's Day to my hero, my dad! Love him so very much. I am blessed to have him in my life!